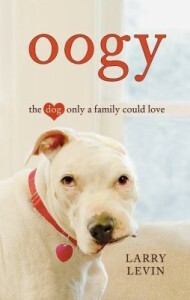 That's the moving story of Oogy, a Dogo used as a bait dog when he was only a puppy, and being rescued from a sure death by marvelous people. In my opinion, lately there are too many books about wonderful dogs with magic stories to be explained... and I'm a bit tired of this kind of fashion of easy-tear books. But when I saw Oogy's picture on the cover... I needed to know more about him. I liked Oogy's story. I loved Oogy and their family. 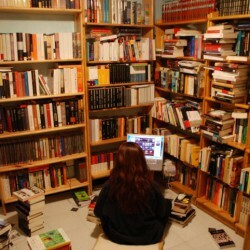 But, though I Iiked the book, I think it could be much better narrated in another way. The first chapter is really boring: I also wake up on the morning, and prepare the coffee, and the breakfast, and open the fridge door to take the milk, and dress myself... and don't need to explain you that in every detail. The way of going back and forward... maybe because I'm not English native speaker, but I felt really lost on the first pages, until I get used to the rhythm. There are large descriptions that I think unnecessary: do I really need to know how to assembly a baby car seat step by step? Twice? The book has too many pages to explain once and again how good, and gentle, and soft Oogy is, and how fortunate is the author to having met him and how bonded he is to the dog. I'm sure he is... but maybe the third time it became clear to the most obtuse. I missed more anecdotes with Oogy, not only few and short enchained bites to show how scared people were before knowing him and how amazed were they when they saw his gentleness, or the extended explanations about his operations. I'm sure that with a dog like Oogy we were able to experience milions of moving/funny/terrible/touching moments to share, don't need to be related with his missing ear, multiple scars or deformity. Of course all that is the reason of his excepcionality... but I get it on the first pages! I missed the editor's job. It could have been a great book.